The 23 runs from the heart of a cathedral city, alongside one of Britain's great rivers into the Forest of Dean. It runs every hour Mon-Sat daytimes and is operated by Stagecoach. As the name suggests, this is one of the best places to witness the phenomenon of nature that is the Severn bore. Use the bus station for the Co-op. Use the stop on Bream Road for Tesco. ...and the same stop for Lydney Railway Station, a 1 mile walk away. The cheapest day ticket that is valid throughout route 23 is the Stagecoach Forest of Dean Dayrider at £5 for an adult. It is valid on all Stagecoach buses in the zone on the diagram above. If you're travelling from further afield, then the Stagecoach Explorer at £6.70 (adult) is valid on all Stagecoach West buses in the above zone, plus throughout Gloucester and Cheltenham and as far afield as Swindon, Tewkesbury and Hereford. See Stagecoach's Gloucester route map here. Change at Lydney for trains towards Chepstow, Newport and Cardiff or back to Gloucester. There are also some infrequent buses towards Chepstow but they are not run by Stagecoach so you'll need to buy a separate ticket in order to use them. From Coleford, you can also catch Stagecoach 30 & 31, which run the more direct way to Gloucester via Cinderford. 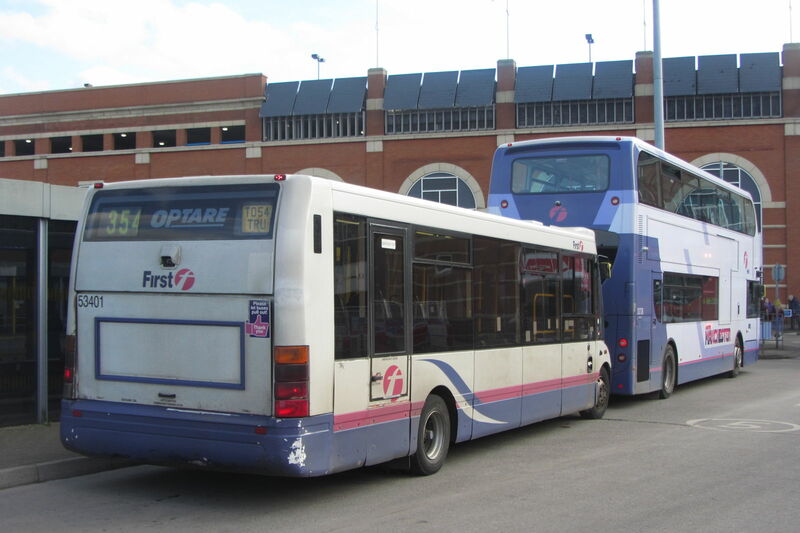 Between Gloucester and Elton Garage, Stagecoach 30 & 31 run the same route as the 23, providing a higher frequency via Minsterworth and Westbury. Between Gloucester and Lydney, you could catch the train (adult day return £9.40) although be aware that Lydney station is about a mile walk from the town centre, whereas the bus serves the middle of town. Between Gloucester and Coleford, Stagecoach 30 & 31 provide a higher frequency and a slightly quicker journey via Cinderford.